Monday, October 1, tickets for the Belfius EuroHockey Championships 2019 are now on sale. From 16 to 25 August, the best hockey nations in Europe (8 in the men?s tournament and 8 in the women?s) will battle for the European title at the Wilrijkse Plein, Antwerp. The presale phase, only for Belgian clubs and their members, is over. 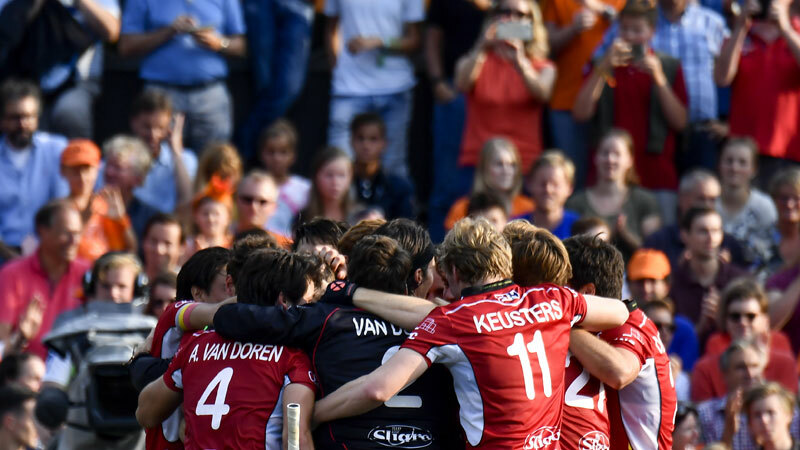 From now on all hockey fans are able to buy tickets, so they can support their national teams and enjoy the spectacle that is the Belfius EuroHockey Championships 2019. The EHC starts on Friday, August 16, with the hosts Belgian (men) taking on the 2017 5th placed team Spain . The first game in the women's tournament will be Spain v Russia on Saturday, August 17. Later that day the 'Derby of the Low Countries' is scheduled, as the Belgian Red Panthers (women) face current European Champions the Netherlands. Belgian hockey fans will be spoiled, because every evening there will be a game on the menu starring one of the Belgian teams. The men's final will be played on Saturday, August 24th, the women's final on Sunday 25th will bring down the curtain on what promises to be a spectacular event ! Fan experience is key during the Belfius EuroHockey Championships. At the Wilrijkse Plein, next to Antwerp Expo, an event site with a stadium for 8,000 spectators will emerge. The site will have all facilities to welcome supporters and VIP guests in the best possible conditions and to let them enjoy some of the best hockey in the world. The sale of VIP tickets and hospitality packages will be announced in the coming days.